Leveling up your Trainer is the best and fastest way to progress quickly through Pokemon Go. As your Trainer reaches higher levels, he or she will be able to capture much more powerful Pokemon. In order to Level up fast you will want to gain the greatest amount of XP (experience points) in the shortest amount of time. The key to leveling up quickly in most MMOs is to simply focus on actions which award the most XP per hour and avoid actions that reward little to no XP. Leveling up in Pokemon Go is no different. Need some help gaining XP? 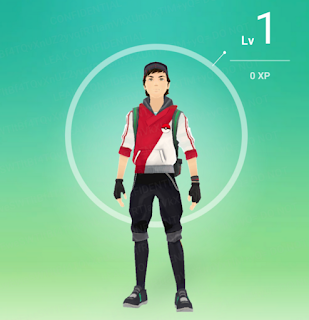 Check out the Pokemon Go Leveling Guide! There are many different ways to gain XP in Pokemon Go. Some in-game actions and achievements award you with minimal XP, while others will grant you a high amount of XP. Here are the five best ways to gain experience points and Level up quickly. Well this is a pretty obvious one, especially due to the fact that "Gotta Catch Em' All" is the Pokemon franchise slogan. However, capturing Pokemon is one of the best and most efficient ways to gain XP. 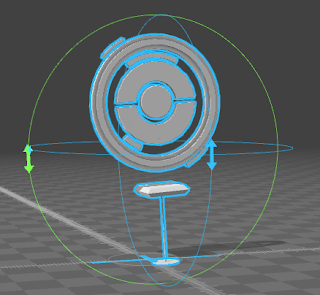 You will gain experience points for skillfully throwing Pokeballs (Eg. Nice throw, great throw, excellent throw) and capturing wild Pokemon. Not only will you gain a set amount of XP for capturing Pokemon, if the Pokemon is new you will get an added XP bonus! Even better, this added bonus is substantially more than the standard XP award you get normally. 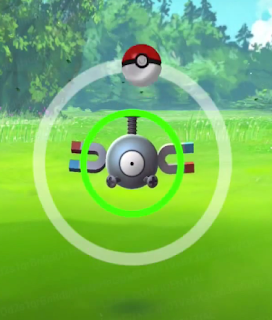 Capturing new Pokemon is most effective for lower level players, as the XP requirement for each Level up is much less in the early stages of the game. 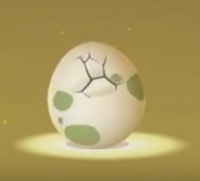 Carry around those Eggs you find at Pokestops, walk a total distance of about one Kilometer (0.621 miles) and your Egg will hatch into a Pokemon. You will gain XP for hatching the Pokemon, regardless of the species and if the Pokemon happens to be new you will gain the added XP bonus for obtaining the new Pokemon! Capturing Pokemon will award you with Candy. Each species of Pokemon needs a specific amount of Candy before it can be evolved. Acquiring Candy for Evolution can take some time, therefore the XP reward is much greater than that of a standard capture. Make sure to try and evolve as many Pokemon as you can. You will not only strengthen your Pokemon team, you will also be rewarded with a great deal of XP. Now Gyms are not as easy to find as Pokestops, but when found are great areas for gaining XP. Do your best to find friendly Gyms, especially if you are a newer Pokemon Go player. Friendly Gyms allow you to train your Pokemon without having to deal with the (usually more powerful) opposing Teams' Pokemon. Your Trainer will gain XP for each defeated Pokemon. If you stumble across a Gym controlled by another Team, you can still battle, but winning these battles is oftentimes more challenging. Check the Gym first to see which defending Pokemon you are up against. If you have the CP and/or Pokemon Type advantage go ahead and initiate the battle. You will gain XP for each Pokemon that you defeat! As you travel you will find a variety of Pokestops to visit. These locations will give you Pokeballs, Revives, Eggs, etc. Most importantly, visiting Pokestops will give you some XP. It should be noted that you will not get tons of XP from Pokestops. However, you can visit a lot of these in a short period of time and the XP really does add up, especially for beginners with lower Trainer levels. If you are looking to Level Up quickly, the best way is to gain XP as efficiently as possible. Make sure to minimize idle time, including looking at your Pokedex, checking your Inventory, customizing your Trainer, etc. In other words, if an action won't award any XP, try to best to avoid it. Collect as many Pidgeys, Caterpies and Weedles as you can. Next make sure you have a Lucky Egg (With doubles XP for a short period of time), which you will get as a Level Up reward after reaching Level 9. You can also purchase a Lucky Egg from the Shop for Pokecoins. 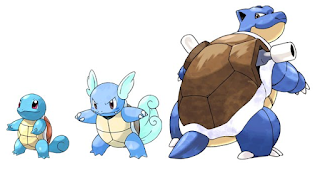 The reason you want to focus on capturing these three Pokemon is that they are easy to find/capture and only require 12 Candy each to Evolve. Once you have collected enough Candy for each of these Pokemon (try to get at least 15 evolutions worth) you are ready to Evolve them. Use the Lucky Egg and immediately begin evolving those Pidgeys, Caterpies and Weedles. You will gain a lot of XP for the evolutions plus that XP will be doubled because you are using the Lucky Egg buff! Not sure how many Pokémon or Candy you need to maximize the use of your Lucky Egg timer? 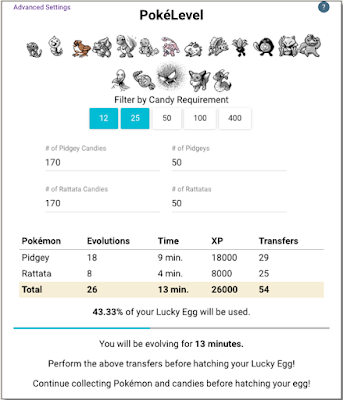 You can find this calculator at http://www.pokelevel.com. It is common to jump 2-3 Trainer Levels just by using this trick once. 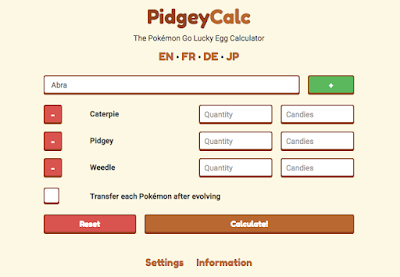 Another very popular tool to maximize the use of your Lucky Egg is the Pidgey Calc! 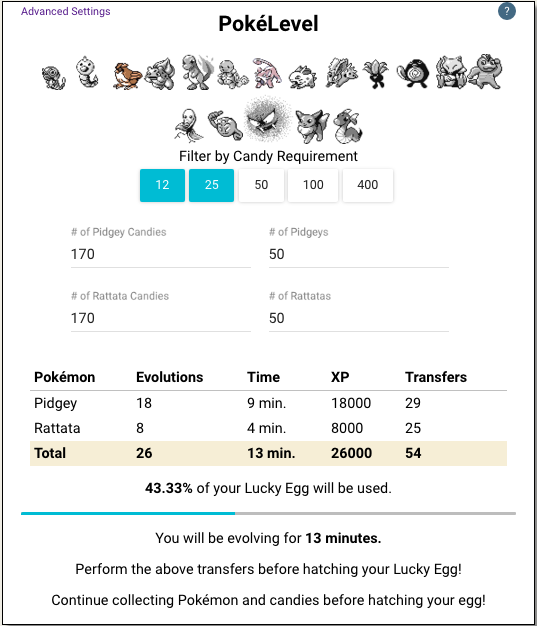 The Pidgey Calc will calculate the Time Spent evolving x number of Pokemon, the total XP gained, and how many Lucky Eggs you should use to evolve those Pokemon. 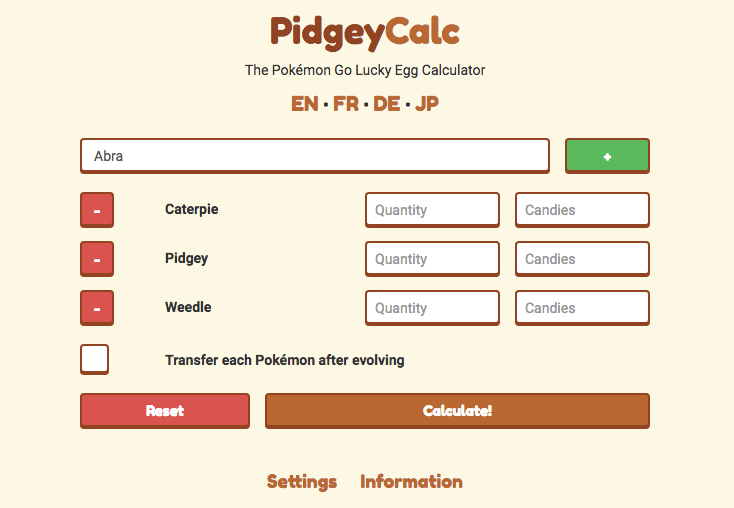 Generally players will evolve Caterpies, Pidgeys and Weedles, but the calculator allows you to add the quantity/Candy of any Pokemon. Go to Pidgeycalc.com to use this useful tool. You may switch between English, French, German or Japanese languages. Capture New Pokemon, Hatch Eggs, Evolve Pokemon, Train & Battle and Visit Pokestops. If you follow these simple steps you will level up very quickly. I hope this information was helpful. If you have any other ideas on how to level up fast please feel free to leave a comment below. 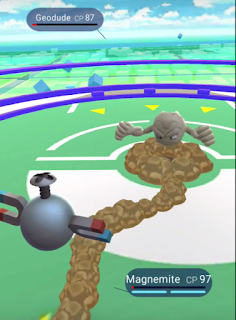 People keep suggesting that the double xp egg doubles your evolution xp. I have not found this to be the case. I got my first lucky egg last night and tried to do this trick, I did 7 evolutions (one being a new pokemon I did not already have) and got 8000 xp with the egg active. I did notice that my cature xp did however double. This is a very good fundamentals guide to enjoy the pokemon game. Thanks for sharing! I used a lucky egg and banged out 68 evolutions. 5 of them were Add to Pokedex so I netted 73,000 XP in 30 mins. Had 6 seconds left on timer when done. Before you start the egg timer, favorite all the Pokemon you want to evolve. Then sort by Favorites and can easily step through the list as you perform evolvpes. I was able to do 73 evolutions in 30 minutes. I have different groups of evolves. Group 2 are ones I have already evolved once before but not common type and I care what their CP was before and after evolving. These are renamed 2@(CP)(whatever their CP is prior). If they happen to be lower CP than what I had evolved prior I just name them 2 without @CP. Then I have group 3 and these are pidgeys, rattatas, weedles and caterpies. These are renamed 3. So, then I sort by name and evolve away. I had 13 seconds left on the timer when I started my last evolve. I gained 76,000 XP as I had 3 new pokemon. find hard way to search pokemon..appear at radar.but...maybe its too far. I just got 77.000 XP from my first lucky egg. I don't know how many evolutions i did but i jumped from level 19 to level 21. This is awesome. Gotta save some more pidgeys now. Aside from powerleveling by evolution and lucky egg I use this tactic and can get 15k to 30k exp per 30min. Find a place with a lot of poke stop, now use a lucky egg and go in a big circle collecting only stops and empty ur bag make sure to utilise that 5min poke stop refresh. It only takes me 5sec to collect a poke stop n 10sec to reach the next poke stop. That's 100exp per stop. Aside from that I'm hatching all my eggs while only collecting poke stop. 15k -40k exp in 30min. Use lucky egg n tons of incubators. Find a circle location with tons of poke stop n make sure u collect them all before it refresh. I can collect 1 poke stop every 10sec n hatch eggs only. Amazing post. Thanks a lot for posting the best ways to level up quickly. I installed pokemon 3 days back. Lol I know I was late but sadly the game is not available in my country. Thanks to Tutu helper ios app for providing the game. This might help other gamers who want to play Pokemon Go though it is not available in their country. I don't get anything from elvoving???? No XP points??? Have purchased many eggs to get double points, but double nothing is nothing!!! My first incubators never hatched, my eggs would fresze on them hatching!!! But I got double XP from using egg!! Have bought new batch of eggs & now don't get double XP when using eggs!!! I'm getting Really F off the only XP I get is 100 to catch, no matter what!!!! I used to have that problem. It was horrible signal on my cell. Swapped companies and now with the better cell service I can actually enjoy this game. Thanks for the leveling tips everyone came in real handy. Catching up to my co-workers now!